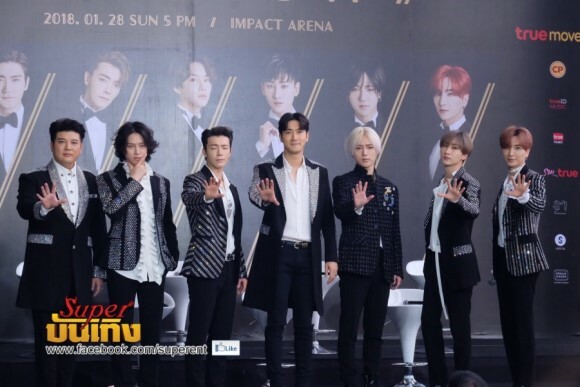 Super Junior's concert "Super Show 7" was held at the Impact Arena in Bangkok, Thailand on January 28. Thailand was the second destination of Super Junior's world tour, where 10,000 tickets were sold out in five minutes. 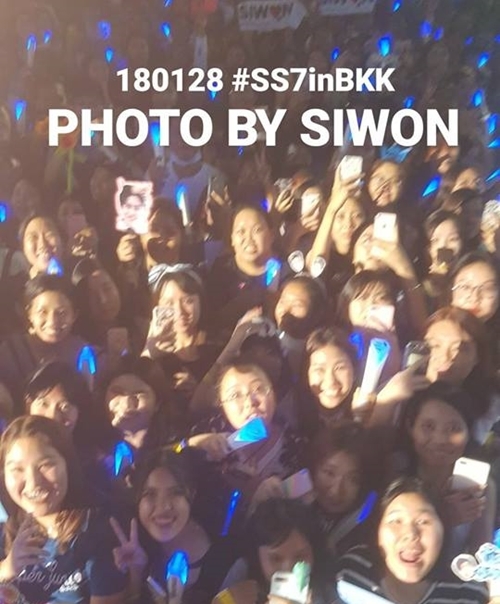 Super Junior, a Korean boy band that created a boom of Hallyu in Thailand with TVXQ in the mid-2000s, still enjoys high popularity among Thai fans. On January 26, the correspondent interviewed Kung and Jaa, who run the Facebook page for Thai fans of Super Junior and talked about the reason why Hallyu has been steadily popular in Thailand for over 10 years, the future of Hallyu in the country, and major activities of Thai Hallyu fans. 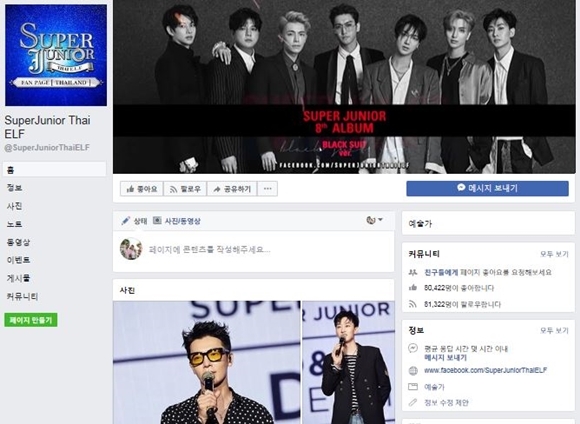 Super Junior Thai ELF’s Facebook page shares news, photos and videos related to the boy band and has the largest number of followers (81,734 as of February 5) among Super Junior fan pages in Thailand. K: I am currently working in the marketing department of a newspaper. Since Super Junior's first Thai concert in 2006, I have been a fan of them. J: I am an office worker. In 2007, I became a fan of Super Junior after watching the movie "Attack On The Pin-up Boys" which starred Super Junior. K: The total number of followers is about 80,000 but the number of members who actively participate in fan activities such as posting photos and articles, or visiting concerts is estimated to be about 30,000. More than 99% of followers are women, and the majority of them are in their mid-20s to their mid-30s. A total of 5 members including J and me are in charge of the fan page management. Two of them are currently residing in Korea. Our fan club does not require dues from members, and the management tasks are volunteered by the five members of the management team. What are the major activities of Super Junior Thai ELF? K: Our main activities are to share photos of Super Junior taken by the followers and news articles, photos, videos related to Super Junior released through media or Twitter. Other than that, we hold a group tour program to Korea every year. In 2017, two members of Super Junior were enlisted in the army, so we held two fan tour programs to see them off. A fan tour also includes visits to cafes or restaurants operated by Super Junior members and the SM building. During the last tour, the members went to a cafe run by Super Junior's Sungmin, and they saw his parents and brothers. These experiences create precious memories for fans. Therefore, the fan tour is a representative program of our fan club. J: Thai fans prepare events or birthday gifts for Super Junior members when they visit the country for a concert. Most of these events or gifts are prepared through a separate project page, in which about 10 fan pages on SNS participate. K: A fan tour is planned in April. Participating members are different each time except for the operators. We will continue to effectively run the tour program so that every fan can build good memories. What are the toughest and happiest parts of being fan club operators? K: We made the first website for fans in 2010, when there was no SNS. So, it was difficult for us to promote our community. We printed out the website address and handed it to Super Junior fans in places where they gathered, such as concert venues. However, nowadays, many people visit the fan page through search, and we do not need to promote the page anymore. So there is no difficulty in operating the fan club. If I have to pick, it is sad that Super Junior is not active as before maybe because of the members who joined the army. About four years ago, Super Junior visited Thailand more than twice a month, but thing have changed now. What we like most about fan activities is that we can share what we like and please others by doing it. 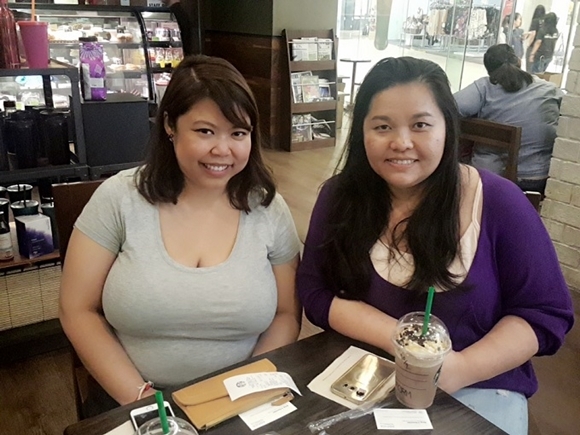 We can also make good friends who understand each other well. What is the attractiveness of K-Pop that distinguishes it from Thai music? K: Unlike celebrities from the other countries, K-Pop stars give fans a sense of intimacy appearing various reality shows. As they share their daily life through these shows, their fans sense no mental distance and feel as if they are real friends. And there is no idol band in the Thai music scene. (The correspondent's note: BNK48, the Thai sister group of Japanese girl group AKB48, is recently gaining popularity, but there is no boy idol ban in Thailand yet.) Since rock music forms the main stream, Thai music fans feel K-Pop new and attractive. J: Korean idol band members are often known among fans since they were trainees. Their fans have a greater affection for them because they feel like they are growing together with them. What do you think about the present and future of Hallyu as first-generation Hallyu fans in Thailand? J: I think that Hallyu in Thailand has now entered a stage of stabilization. While Hallyu does not hit the headlines in the Thai society anymore, Korean artists keep gaining popularity. K: I think the strength of Hallyu is that it always shows something new. So, its popularity will continue in the future. One of the best examples is the recent attempt to combine music and the growth of musicians as individuals as seen in the shows like "Show Me the Money", "Produce 101" and "The Unit". Also, the influence of Hallyu is expanding. Our fan page sees the increase in the number of followers from Myanmar, Laos and other regions. What do you expect from KOFICE as Hallyu K-Pop fans? K: I hope that we can have more opportunities to meet Korean artists such as free concerts. A few years ago, many large concerts like MBC’s “Show! Music Core Concert in Bangkok” were held in Thailand. But, these days, there are no such large concerts. Music fans will find new aspects of the artists whom they like through concerts. I was not interested in Super Junior, but when I watched their concert, I became a fan of them. In Thailand, Korean pop culture is still popular, but the fan base has not been greatly expanded. If large concerts are held at this time, those who are not interested in Hallyu will rediscover its attractiveness.